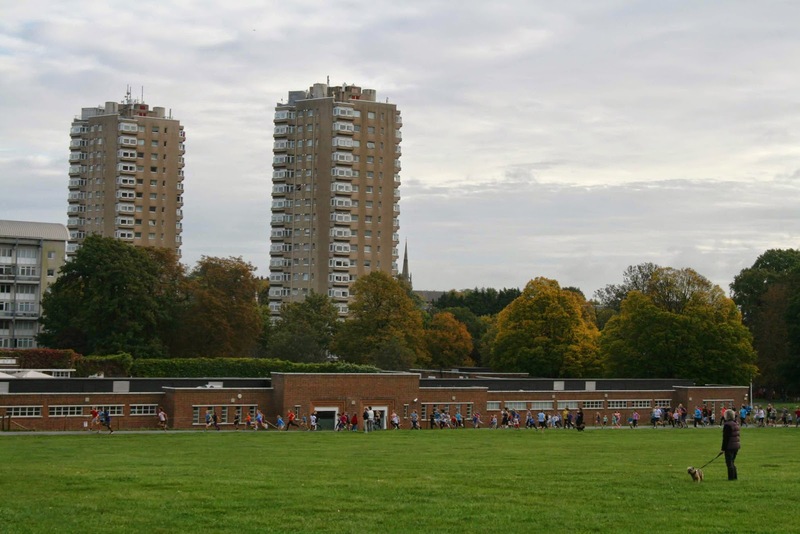 Brockwell Park in South London is a gently undulating and pretty park with views across to Central London from its highest point. 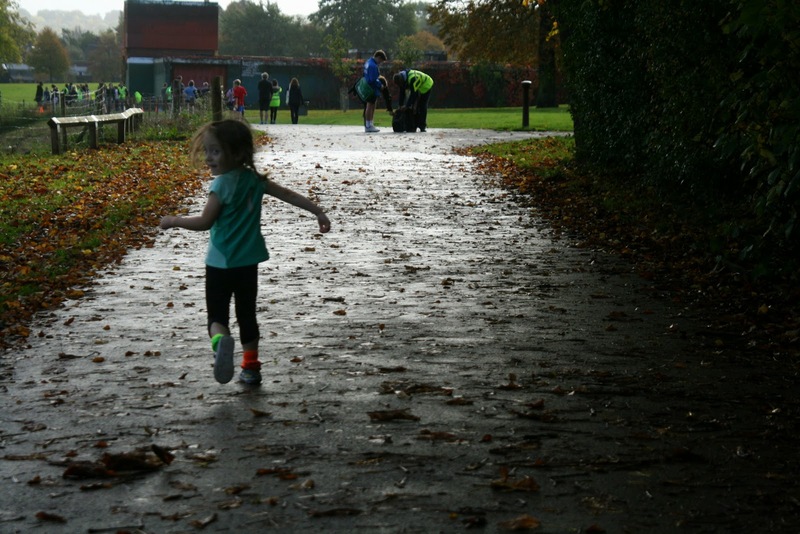 I first ran in this park at Brockwell parkrun [my blog] with my daughter in her running buggy on a drizzly morning in May 2013. 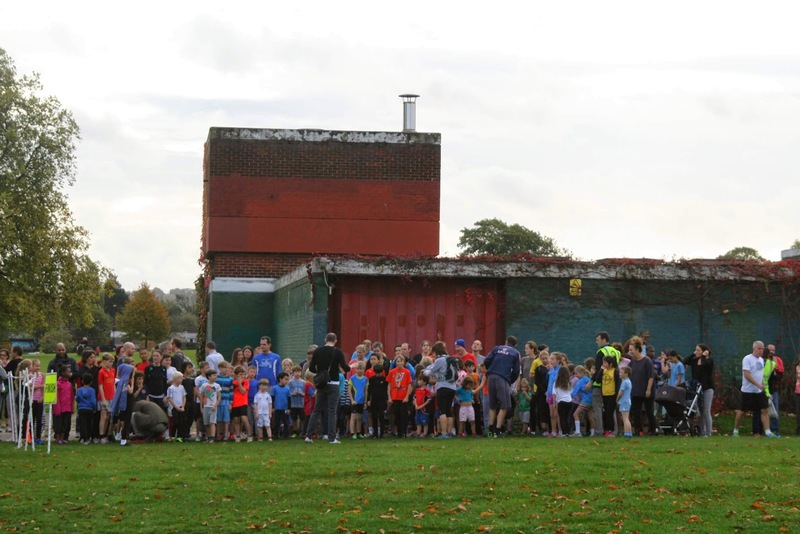 Since then a junior event has been set up in the park and we paid it a visit on drizzly morning (that cleared up before the run) in October 2014. Upon arrival we had a choice of parking in the Lido car park or out on the adjacent street - the streets have meters but they are only in use between Monday and Friday. We left the car on the street and headed into the park. As we were quite early I decided to have a cheeky freedom run around the standard 5k course, then once I had finished I did the same for the 2k junior course. 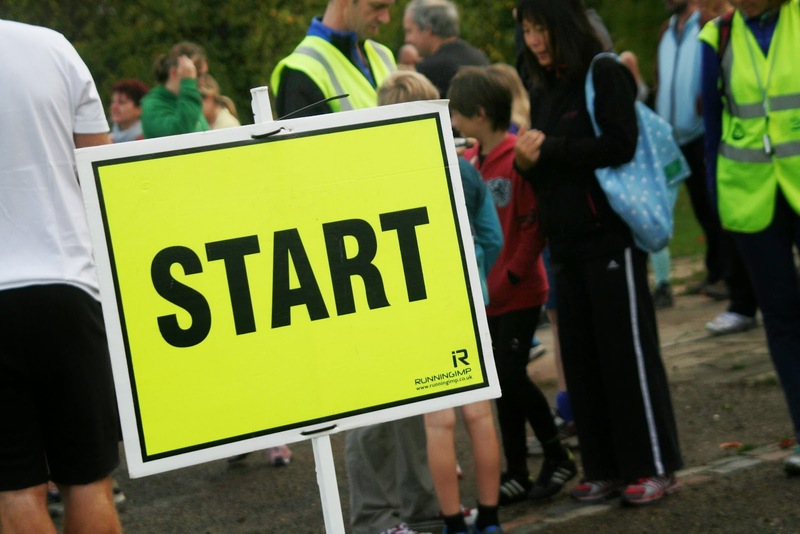 By then the event team had arrived and had begun setting the course up and organising the volunteers. I had my camera with me so I offered to volunteer as photographer [photos here]. My wife also volunteered and took on the role of tail runner. The start/finish is located on the grass just opposite the lido (next to an odd looking building - see photo) and as this venue attracts a good number of participants, you couldn't fail to miss it. There were a few workmen laying some cobbles next to the path and their van had been partially blocking the course, however they were more than happy to move it onto the grass before the run started. To be on the safe side an extra marshal was required at this spot, so headed over and doubled up as photographer and marshal. 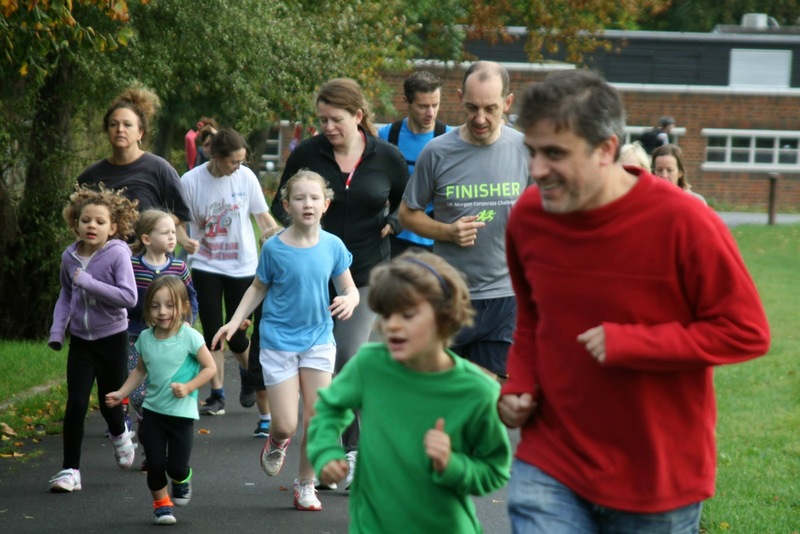 As you may have spotted, junior parkruns are all on Sundays but do not all have the same start time. 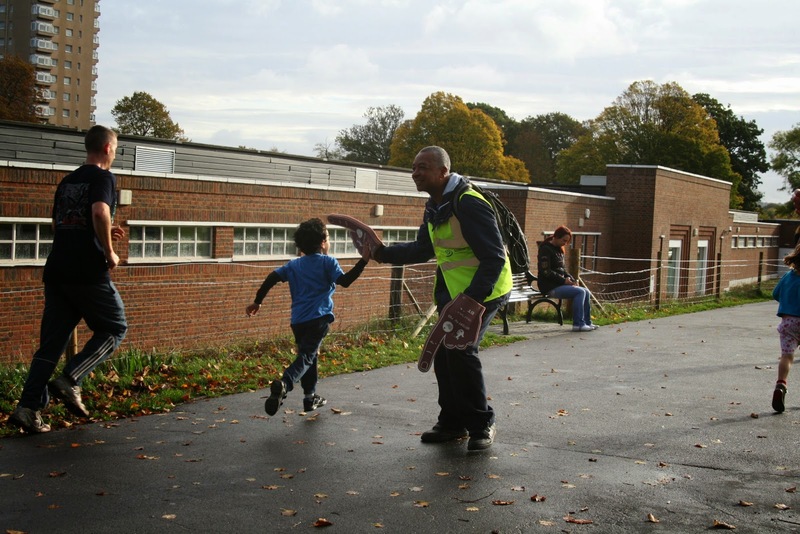 At the time of writing Brockwell Junior parkrun has a 9.30am start time and I would definitely advise checking the official page of any junior parkrun before visiting. 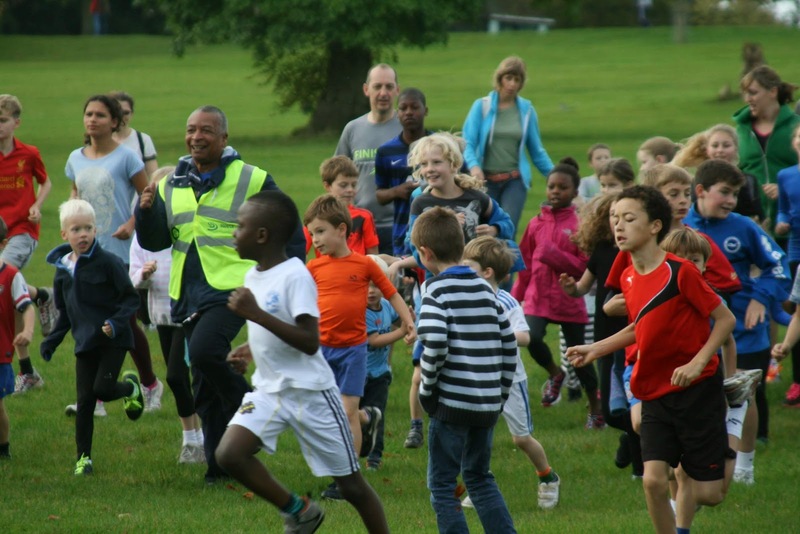 A few minutes before the start time, there was the usual parkrun briefing and then a warm up session for all of the kids. The participants then took their places on the start line. Seconds later they were off. This is a two lap course with a little tail that links the start/finish to the triangular loop that creates the lap, and with the exception of the grass start/finish area, takes place on tarmac paths. For the first 100 metres or so along the tail is flat, then there's a left hand turn and the runners are heading up an incline. At the top of the incline, the runners swing to the right at the junction and head back downhill which flattens out before another right hand turn leads the runners on a slight incline back towards the end of the lap, the runners then turn right to complete the loop again. 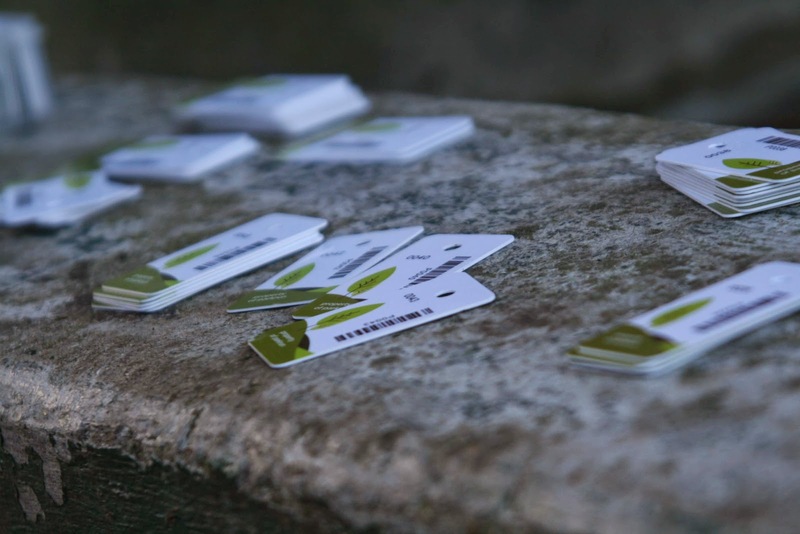 Once the two laps have been completed, the runners head back along the tail towards the start/finish area, where they transfer back onto the grass and enter the finish funnel, collect their finish token, get scanned and have a well deserved rest. It's worth noting that there are a lot of dog walkers in this park so if you have children that are nervous around dogs it might be an idea to accompany them around the course. 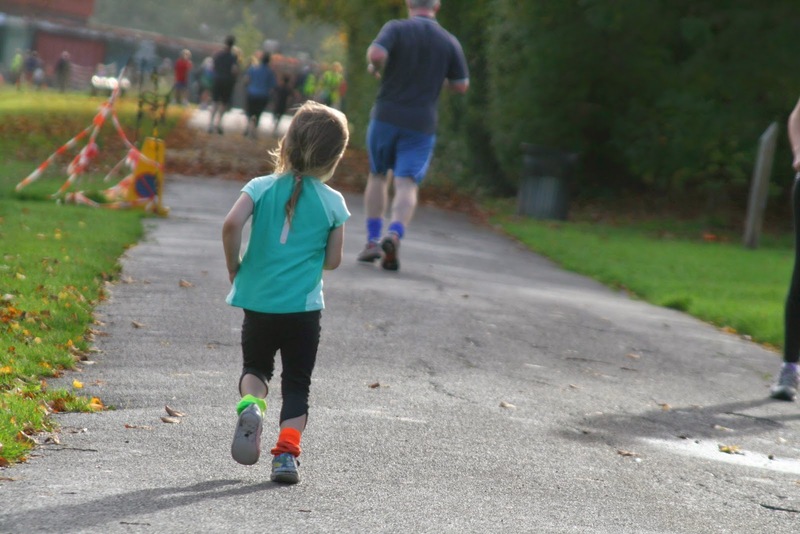 Even though many will be used to the large amount of runners in the park, there still may be some dogs that could pose a risk to runners - I heard of one incident in the park (not with a child) straight after writing this blog. 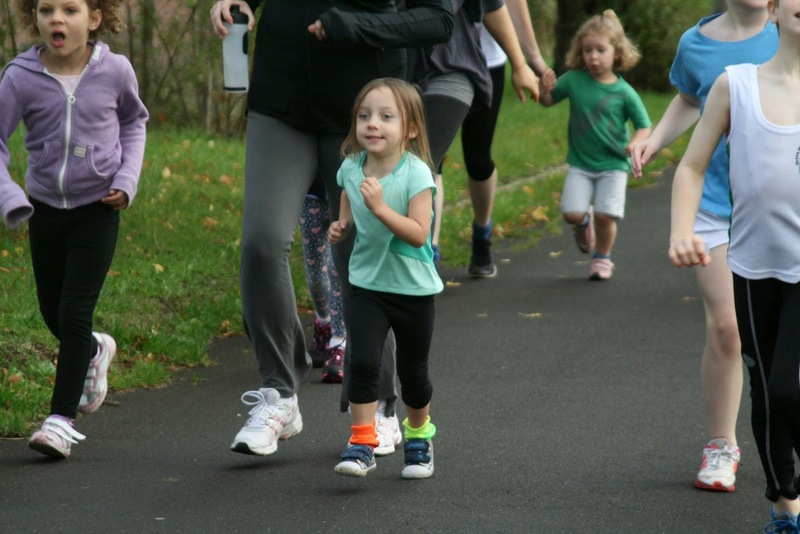 As far as my daughter's run goes, she powered past my marshalling point on her first lap going up the hill, but then she didn't come back past me on lap two. It turns out that she was running with another girl that had decided to only complete one lap and had followed her, but after finding my daughter and reminding her that it was a two lap course she carried on with me in tow up the hill, round the corner, down the hill, and round the corner until we finally noticed the finish line in sight - from here it was a mad dash to the end with her pipping me to the post! With the confusion of her run and the timers thinking everyone had finished, the stopwatches had all been stopped. Fortunately everything was resolved and she was given a finish time of 21 minutes flat. I asked her what she thought of the course and she said that she liked it but wasn't too keen on the hill. I must add that on the way to the run she was telling me that she loves hills! Despite only being going for 19 events at the time of our visit, this venue has already attracted a really healthy number of runners and at the event we attended there were 83 finishers, when you add in the number of parents running with their children the total number of runners would have been well in excess of 100. 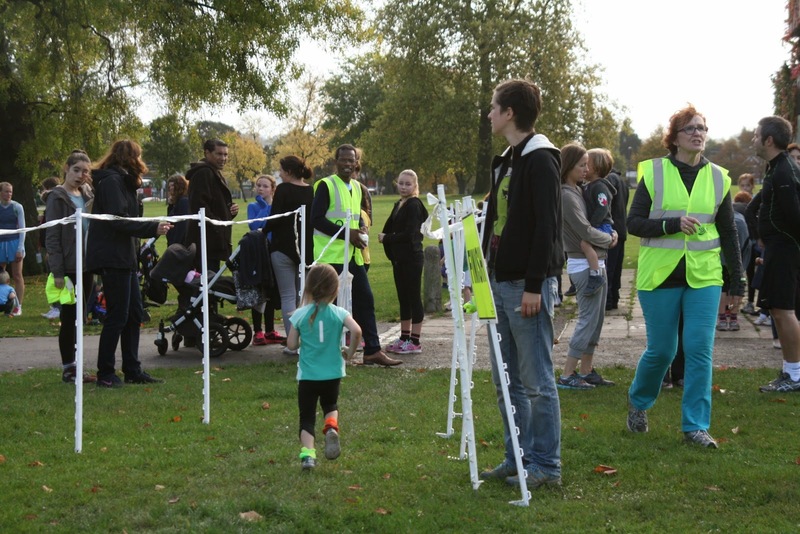 It's another really nice venue for a junior parkrun, as always the volunteers are fab and if you have the time it is definitely worth hanging around after the run to visit one of its attractions for example the playground or, if the weather is really good, the lido.